A few days after a terrorist attack in New Zealand, where at least 50 people were killed in a mosque shooting in Christchurch, Muslims in Norway's northernmost Finnmark County were met by extremist slogans and messages. Stickers calling for "revolution" against Islam have appeared on the local mosque in the town Alta. The police have been informed of similar incidents throughout Finnmark, national broadcaster NRK reported. Incendiary stickers appeared in several public places, such as schools and mosques in Alta and Sør-Varanger. The leader of the Alta mosque voiced his concern over the incident and its possible repercussions. "It was nothing nice", Ismail Omar told NRK. "We don't know what these people want. And we are a big bunch when gathered for the Friday prayer. Of course, we are afraid that something may happen", Omar said. The police in Finnmark said that the "right-wing extremist" stickers were being investigated as a hate crime. Law enforcement earlier stepped up security efforts at mosques across the entire country after the Christchurch terror attack. According to Kjell Andreas Bjerke, the police contact for radicalisation, efforts to weed out violent extremism are in place. Ismail Omar suggested that the culprits acted alone and there is no larger group plotting to hurt Muslims. He also praised the police for helping remove the stickers and thanked them for their presence during the Friday prayer. Kjell Anderas Bjerke reinterated Omar's take that that large organisations with a violent anti-Islamic agenda are unlikely to exist. "Such incidents occur from time to time, but usually there are individuals behind them and not something organised", Bjerke concluded. While many Norwegians argued that hate crimes have no place in their society, some believed the police went overboard with their efforts. "Hate crime? A couple of stickers? What about all the Muslims in Alta's schools looking down on white boys and treating white girls like whores? Isn't that hate crime too? Where are the paroles and the resistance to it? Well swept under the carpet. If they are to take one group, they must also take the other", a Norwegian man reacted on Facebook, calling the case "a typical storm in a teacup". 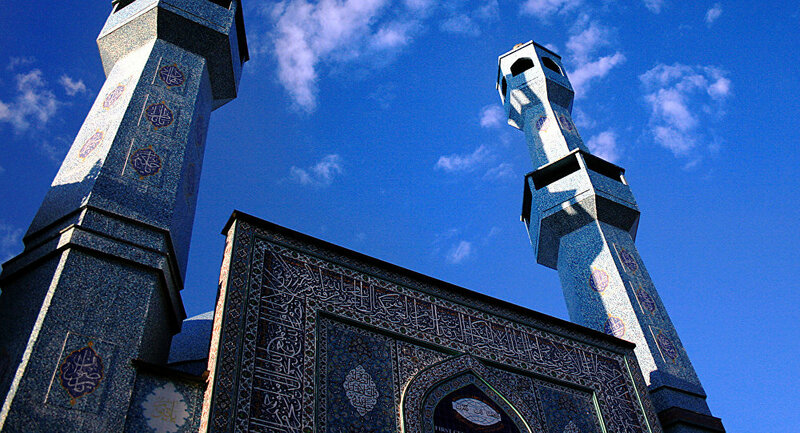 Norway's Islamic community has been growing exponentially since the 1960s. At present, Muslims are estimated to constitute 5.7 percent of Norway's population of 5.2 million.